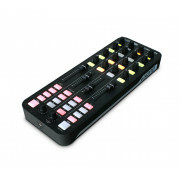 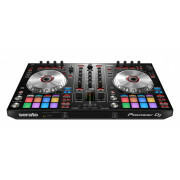 Here at Westend DJ, you will find the most varied range of digital DJ controllers for sale online and all at fantastic prices. 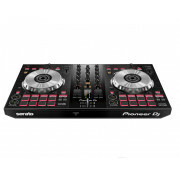 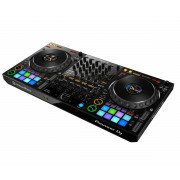 From beginner DJ controllers to advance, club grade controllers, our selection is vast and you are sure to find everything you need to complete your DJ set up. 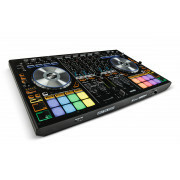 From brands such as Numark, Denon DJ, Pioneer DJ, Hercules, and Reloop. 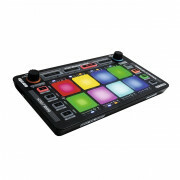 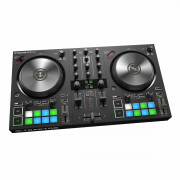 The infamous DDJ-SX3 now features 2 USB connections for b2b DJ's to allow two laptops to be connected at the same time. 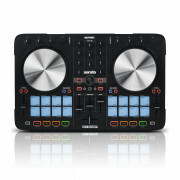 The microphone section has been improved to make it ideal for mobile DJ's. 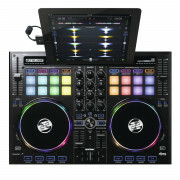 For RekordBox DJ controllers, look at the Pioneer DDJ-1000 with its full-size jog wheels with built-in hi-res displays. 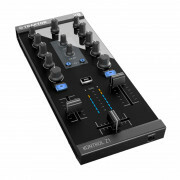 The standalone mixer with built-in effects makes it more like a club setup than anything else out there. 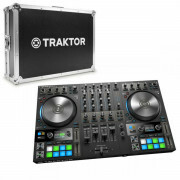 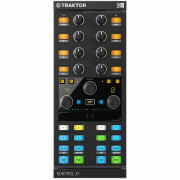 For Traktor DJ's the new range of Traktor Kontrol S2 mk3 and Kontrol S4 mk3 together with Traktor Pro 3 software are a great combination. 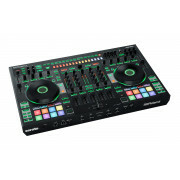 If you're a beginner and need a controller on a budget, we have beginner DJ controllers starting at under £60 like the Numark DJ2Go2 or Hercules Starlight. 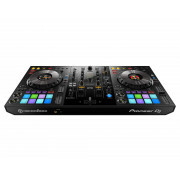 Our handy filter will help you select the ideal DJ controller by selecting the software you want to use, number of channels or other features you need. 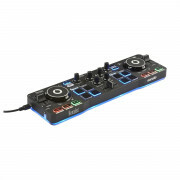 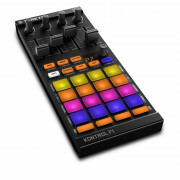 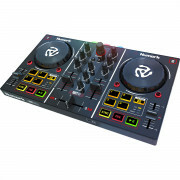 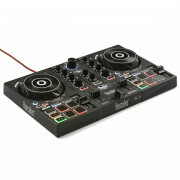 Looking for a DJ controller for a beginner? 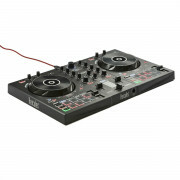 Have a read of our blog post on what to look for. 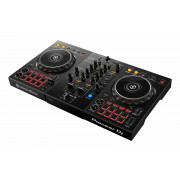 Our London DJ Shops have many controllers on demo for you to try out in store before you buy and our trained staff can help advise you on the type of controller that's right for you.